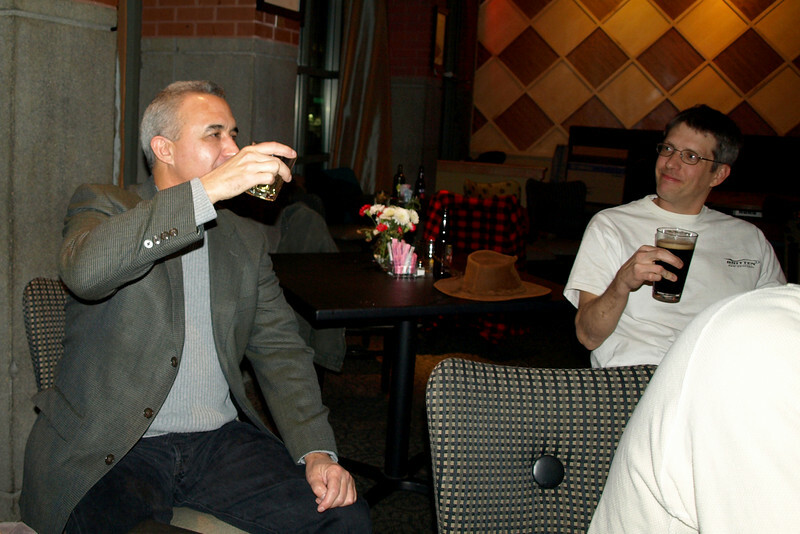 The 2007 ICR "Member of the Year" banquet was held on December 6th at the Market Street Tavern. The out going MOTY, Mike Smith, hands over the covetted spinning sheep to George Hovanic. Congratulations George. A good time was had by all who attended.